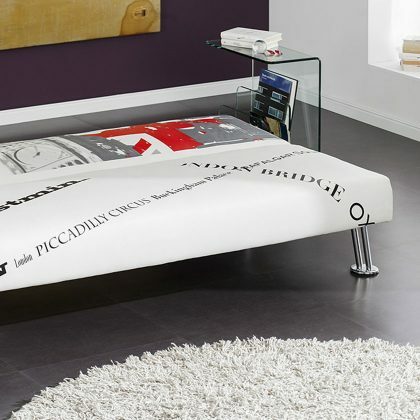 A three seater multi-functional sofa bed with chromed steel feet, exquisite. The sofa bed with London theme will add a sophisticated look to your living room, combines clean lines with retro details. This kind of sofa beds can be easily converted from a sofa to bed. Explore our sofa bed category and find the most versatile sofas.